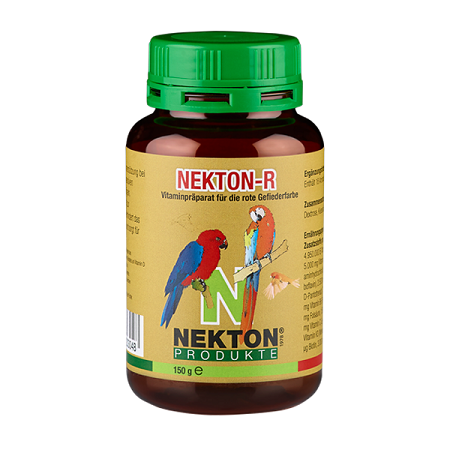 Vitamin supplements to brighten colours, enhance plumage for and prevent colours fading. Feathers are given their colours by the deposits of carotenoids, red and yellow pigments/lipochromes, found in plants and the fatty tissues of animals. Although the deposits are minute they are spread over the whole surface of the feathers creating the various shades. Carotenoids are the most widely distributed pigments in nature and are found in all parts of plants, even in the green parts, where they are overshadowed by the preponderance of green chlorophyll. An animal's organism is not capable of synthesising carotenoids itself which means these colour pigments must form part of the dietary intake. It is recommended that you use a dark colored water tube or bowl as coloring will stain. The plumage can naturally only be influenced during the moulting time. The high proportion of vitamins, trace elements, amino acids and calcium have a positive effect on the moult too! This depends on the desired intesity of the coloring. Speaking from experience we suggest 1g Nekton R to 1/4 liter lukewarm water as a guide. The enclosed measuring spoon is 1 g. Use this spoon flat to a cup of water will meet the needs of 10 small birds. A little goes a long way! Store in a cool, dark and dry place. In an unopened container and correctly stored the vitamins in NEKTON R remain effective until date of expiry, see extra label.